Stir all the ingredients together until well mixed. 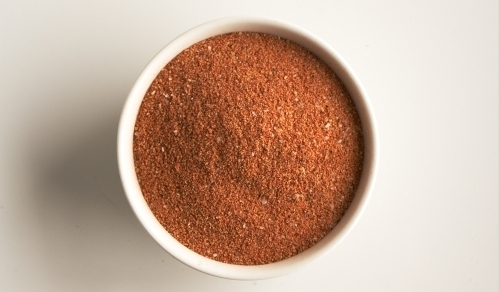 Shake or spoon on just enough rub to coat all the chicken. Rub it in and let stand for no longer than 30 minutes at room temperature (or refrigerate overnight) before cooking. Extra rub that has not come in contact with raw chicken can be stored in a glass jar for up to 3 months.